It all began with the acquisition of the Red Barn Vineyard in 1994, the official move to Rutherford. This prime location provided a century-old facility and 40 acres perfectly suited to Merlot and Cabernet Sauvignon. Immediately following the move, Frank Leeds, longtime Frog’s Leap vineyard manager, agreed to a partnership between Frog’s Leap and his family’s Chavez Leeds Vineyard. This generational vineyard situated on the Rutherford Bench gave the first real taste of how complex and connected dry-farmed, organically-grown Cabernet Sauvignon could be. In 2007, the Frog’s Leap purchased the historic Rutherford Bench Rossi Vineyard. Now mostly planted to Cabernet Sauvignon and Cabernet Franc, the 50 acre Rossi Vineyard completed the picture by yielding high quality Rutherford grapes. The winery had achieved its goal of an entirely estate-grown Cabernet Sauvignon that can stand the test of time. The 2015 vintage follows the path set with earlier vintages of the estate Cabernet, but it does it with a twist. 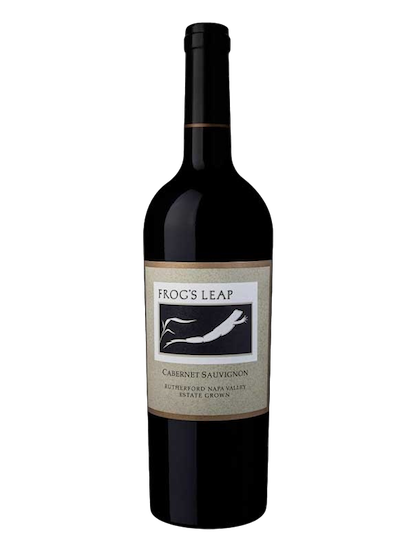 Frog’s Leap often include a small addition of Cabernet Franc in the blend – it adds lift and vibrancy. There’s a little Cabernet Franc in the 2015. It became clear that the 2015 could use a little Merlot, too, to round the edges and present a more supple palate. After many trial blends, the addition of 13% Merlot from the vineyard’s Rossi blocks made the cut.